Austrian painter, draughtsman and printmaker. Through his fresco-work and his draughtsmanship, which adapt a vast range of Italian influences, as well as his teaching, he is one of the foremost figures of 18th-century Austrian art. After a long study-tour to Italy he became the favourite fresco painter of the Lower Austrian monasteries. In 1754-57 he became the rector of the Academy in Vienna and he influenced many important painters of the next generation, such as Maulbertsch and Mildorfer. 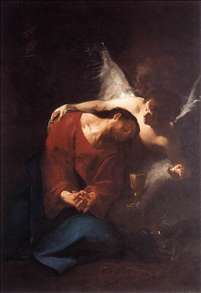 See more details about "Christ Comforted by an Angel"